CrownTown and the Cal South National State Association of the United States Youth Soccer Association and the United States Soccer Federation would like to congratulate our very own, Jada Talley. Jada was identified as one of a small group of players selected to participate in the Cal South Olympians Development Program (ODP). Olympic Development Program (ODP): The most direct route to the U.S. Youth National Teams. The Cal South ODP Coaching and Scouting staff scour the Southern California youth soccer landscape annually to identify the top 32 players in each boys and girls age groups from U14-U18. Jada was identified during her first year of eligibility at age 13. By the way, she turned 13 last month. She was identified and selected by National scouts at the Cal South National Cup. The objective of this program is to give players an overview of the US Soccer Youth National Team. Jada has been a proud member of CrownTown’s Youth S&C Program along with her younger sister, Jasmine, since its inception on January 31st of this year. Her parents, Vina and Errol Talley are members of the 5:30pm CrossFit class, too. I’d like to close by reinforcing the benefit of our Youth S&C Program. If you’re getting your kids involved with sports at an early age, that is great. However, if you want them to have that extra edge on the field to standout amongst their peers, you can no longer just rely on talent. The strength, speed, coordination, agility and sheer confidence that is developed in our program ensures that our kids are head and shoulders above the rest. 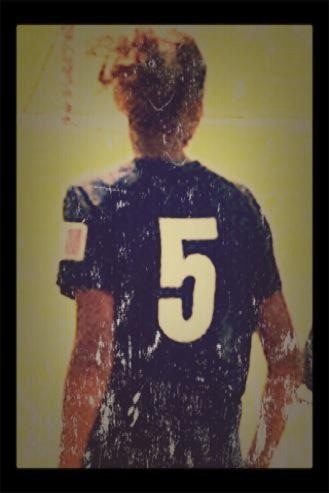 Jada is extremely talented within her skill set of soccer, but she also has unmatched speed and endurance. Whether it’s the beginning or end of the game look for her to blow by her opponents. We are extremely proud of Jada and we want her to know that she has the full support of her CrownTown Family behind her.